Northern Ireland are preparing to join the work. Maureen Wise has been involved in the work since the beginning but is now starting to step back a little as younger team members become involved. She intends to continue to visit Moldova however as often as possible. The Moldovan work ‘to reveal’ has the sense of ‘uncover’. In recent months and years we have had a sense of the Lord uncovering wonderful plans that He has had from all eternity for the people with whom we are working. We were a very small group of women in the early years of the work, with no influence and few resources of our own. In the work outlined below the Lord has again and again caused us to see that we are totally dependent on Him to work, often in seemingly impossible situations. It would be our testimony that we have seen Him working mightily. He uses earthen vessels, ‘that the excellency of the power may be of God and not of us’. We worship Him for the wonders He has done and look to Him for still greater things. This was where our work started in 1998. It is a large, isolated, closed institution for women and girls with disabilities. When we first started visiting the conditions there were very poor indeed. We went with practical help and friendship – and the Gospel. Each year we organised a camp there for a week. The Lord began to save a number of women and we began to dream of moving some of them into the community to live more normal lives and have the opportunity to be integrated into a local church. 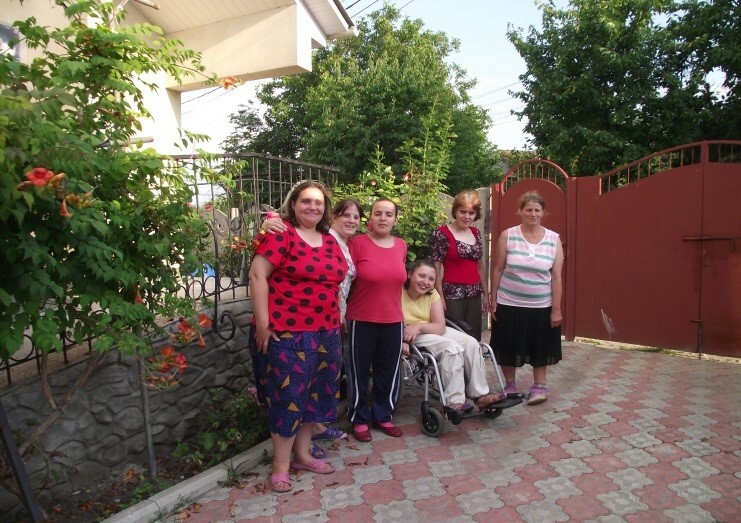 This began to happen in November 2006 when Casa Bucuriei ( the House of Joy) opened in Truseni and six women moved there. The six have made rapid progress emotionally, socially and spiritually since moving there. They have been a source of great joy and encouragement to us and we praise the Lord for each of them. 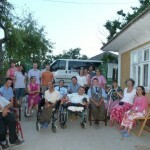 In August 2007 they were all baptised at the local church in Truseni, where they have been warmly accepted. They all have health problems of one kind or another due to years of neglect. They are now producing a number of hand-made goods for sale. They also have the care of the house and the animals and poultry and gained a good deal of independence. We are so thankful for the staff and the Lord’s protection and great blessing on this work. 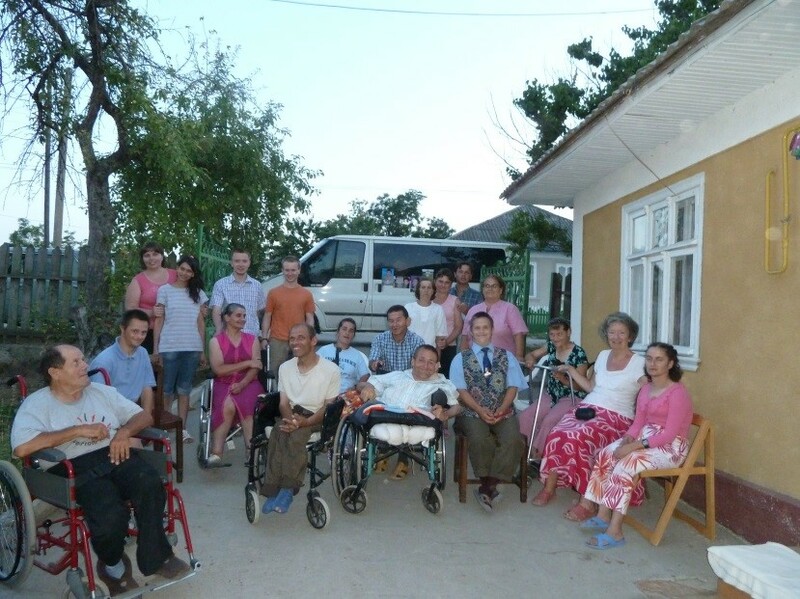 For the last few years we have been visiting a large institution of 500 men and women with disabilities in the North of Moldova. Again it is an isolated, closed institution and living conditions are far from good. Men and women live in abject neglect; and in winter it is particularly grim. We take clothing andfood to distribute when we have it, and the Gospel. There are a number of Christians living there. 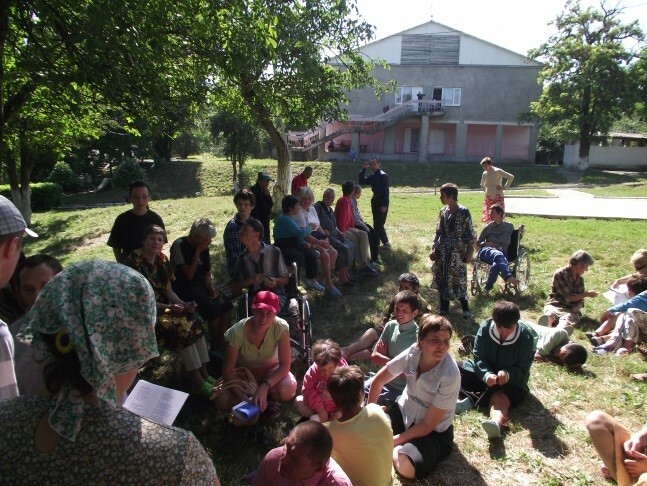 We have organised regular summer camps there assisted by a number of friends from the UK, Moldova, Romania and Russia and we have known the Lord’s blessing in this work. Pray for the Lord to save many and for a continued open door for the Gospel. 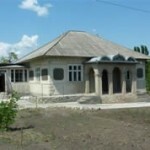 Casa Matei (‘the House of Matthew’) opened in November 2008 in a village called Sofia in the North of Moldova. We chose this name because Matthew means ‘the gift of God’. Five men with a range of disabilities from the institution in the North, have moved in. The story of the funds needed; the renovation of the house; the provision of the furniture and fittings; the top-level Government permissions that were needed to move the men out and the provision of good staff was all a miracle of the Lord’s own doing. The house has a large plot of ground at the back leading down to a beautiful lake. 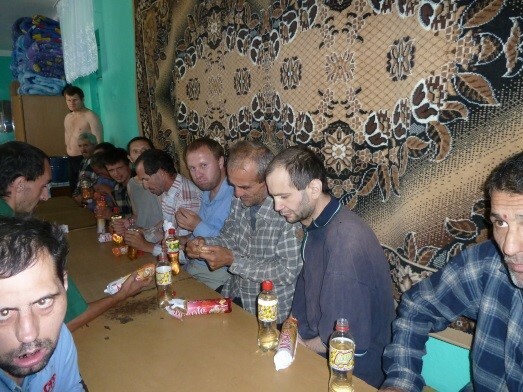 The men all had their first holiday ever in spring 2009, when they went to a Christian camp for people with disabilities. They all so enjoyed this time. 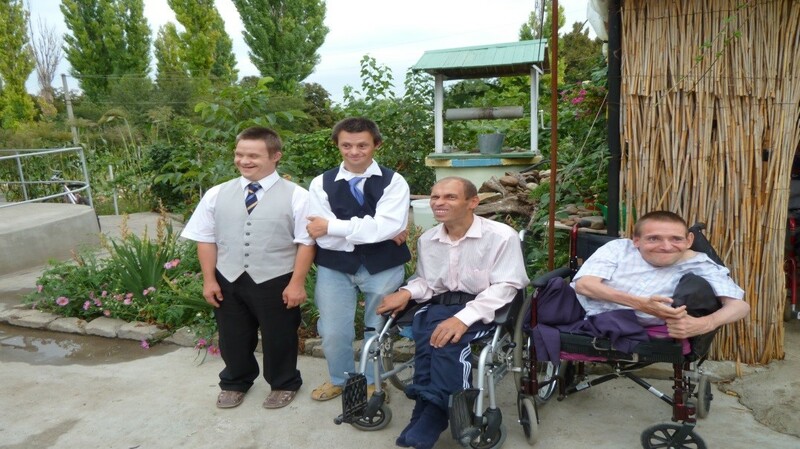 One of the men, Slava, who has Down’s syndrome, told us when he returned that he had been to heaven ‘to Jesus’ house’. The small-holding behind Casa Matei is the means of providing a large crop of vegetables and fruit for the house. Poultry and cows also provide another means of sustenance and the men have acquired skills in raising and caring for livestock. They are active in the local church in Sofia. Casa Alex is situated near to Casa Matei and is home to 6 more people who formerly lived in the institution in the North – 5 women and one man (who is the father of one of the women). It was opened in 2011. As in common with the other homes it has a large plot of land which is cultivated by the women who live in the house and poultry and pigs are also kept. In addition to disabilities of one kind or another, those living in Casa Alex had experienced considerable traumas of one kind and onother during years lived in closed institutions. But we have watched as the Lord has worked powerfully in their lives and given them a hope and a future both in this life and for eternity. All the men and women whom we support in the 2 houses in Sofia have made a profession of faith and have been baptised in the local church in Sofia. 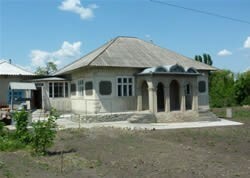 In 2013 a plot of land was purchased in the village of Capriana and men from Operation Centurion (UFM) together with teams of men from Moldova built the purpose built house which was opened in October 2015. It is now home to 6 women – Victoria, Snejana, Cristina, Natasa, Lilia and Lena who formerly lived in the institution in the south. They were baptised in August 2017 and are active members of their local church in Capriana. 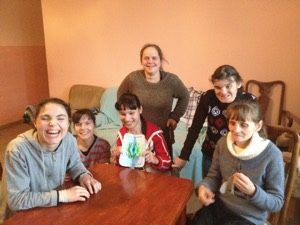 Mai bine acasa (‘It’s better at home) is a project through which we work with Christian adults having disabilities in their own homes. We offer practical and spiritual support so that they will not need to consider entering institutions. We are helping a small number of people in this way in different parts of the country and have been blessed by our fellowship with them. They are living in generally desperate circumstances. Moldova is today economically in a better position than in the 1990s, but it remains the poorest country in Europe. Many are still leaving to work abroad; unofficial estimates say that almost half the population are abroad. The political situation is unstable – the Communist president stepped down in the summer of 2009 and a fragile Democratic Alliance has been in power since. An election in November 2014 led to the Pro European parties having a slight majority. Russia has an occupying army in part of the country called Transnistria. And bring the heavenly fire?